In the state of Texas, alimony is money that one spouse pays to another to support the ex-spouse following a divorce. Also known as “spousal maintenance,” you may also pay or receive this money before the finalization of the divorce. Unsurprisingly, this concept is one of the most emotional and controversial aspects of a divorce proceeding. 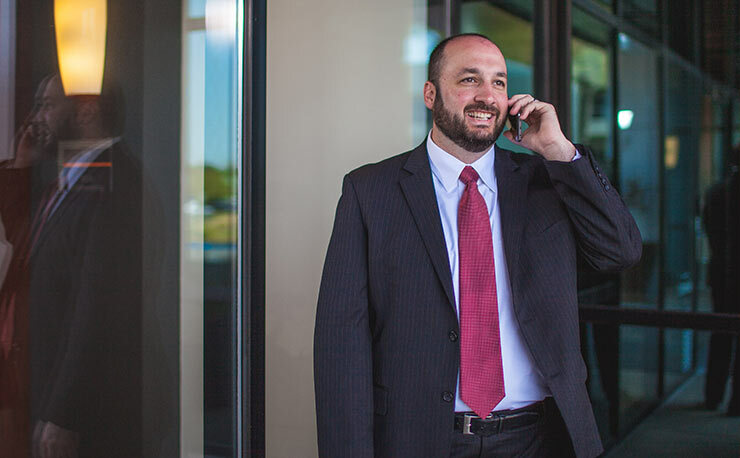 If you are in the Texas area, Austin alimony lawyer Abraham Kant can help guide you through this complex process; contact him today to schedule your free initial consultation. They lack a degree or other means of seeking gainful employment. They’ve been out of the workforce for a long time raising children. One spouse makes significantly more than the other. In these situations, the spouse with less earning potential may feel entitled to reimbursement for the sacrifices they made throughout the course of the marriage. The party asked to pay spousal support might feel conflicted about offering their ex-spouse maintenance money in addition to child support and division of property. These types of conversations can become difficult to navigate and require the guidance of an experienced Austin family law attorney. A court might grant one spouse temporary spousal support while a divorce case is still underway if the spouse needs the income. It is up to a spouse to complete and file a Motion for Temporary Orders if he or she needs spousal support during a divorce settlement. The family law judge will hold a hearing and listen to both sides of the argument. The judge will then decide whether or not a temporary spousal support order is necessary and fair. Texas Family Code Section 6.502 outlines the requirements and stipulations for temporary spousal support during a pending divorce. It explains that such an order might be necessary for one spouse to cover attorney’s fees and expenses, to retain exclusive occupancy of the residence, or to award a spouse control over a business. Most divorce cases will not require a temporary spousal support order, but it might be necessary for divorce cases that will take a long time, such as contested divorces. Contractual alimony is voluntary and occurs when one spouse agrees to pay for alimony for a specified amount of time. It is not a court-ordered or mandated payment agreement. Instead, it is a system that both spouses agree to, using a payment contract. It is up to the spouses to work out the amount of the payments, how the paying spouse will pay, and how long it will last. The couple drafts an agreement that explains these details. Contractual alimony is very flexible and often applies to situations where a spouse needs a little help to get back on his/her feet until they can live independently. Non-earning spouses may request this type of support so they can find a job, return to school, or finance a home in order to provide for their children. However, as there is no legal mandate for contractual alimony, these contracts may not be enforceable to the same extent as court-ordered spousal maintenance. Another important difference between the two types of ‘alimony’, is that contractual alimony cannot be modified by a Court later without the agreement of all parties. When alimony or spousal support is court-ordered, however, it’s a different story. Spousal maintenance is a temporary order that requires one spouse to pay the other (either periodically or in a lump sum) after the divorce is finalized. The length of time the order will remain in effect depends on the situation but can last up to 10 years. A judge may order one spouse to pay another in certain situations, but obtaining this money may not be easy: a spousal maintenance order is a relatively difficult thing to get in Texas. Texas is a “community property” state with regard to divorce, which means that all assets and liabilities are divided by a judge in a manner that is “just and right.” This includes wages, income, and even worker’s compensation claims. The courts do not differentiate between who earned the money; assets and income are subject to division, so a homemaker would not be penalized for not earning any income. Many times, instead of ordering spousal maintenance, or in unique situations along with an order of spousal maintenance, the future earning power or employability of the spouses upon divorce can influence a court to order an unequal split of marital assets. How is Court-Ordered Spousal Maintenance Awarded? The other spouse is guilty of cruelty or family violence against the spouse asking for it or that spouse’s children within two years of the divorce. The spouse requesting assistance has a physical or mental disability that prevents him or her from earning enough to meet minimum reasonable needs. The marriage has lasted 10 or more years. The spouse needs the financial support because he/she is the primary caretaker of a disabled child from the marriage. The spouse requesting spousal maintenance might also have to prove that he or she has tried to seek gainful employment or to learn skills that could lead to a job and failed while the divorce was pending. The courts will calculate the amount of a spousal maintenance order based on both parties’ income levels, the length of the marriage, the ability of each spouse to pay for his/her basic needs, child custody, marital misconduct (such as adultery), and many other factors. The amount cannot exceed either $5,000 or 20% of the spouse’s gross income (whichever is lower). There is also an underlying theory in Texas and the United States as a whole that it’s in the best interest of the economy for as many people to have employment as possible. Thus, some courts view “court-ordered maintenance” as detrimental to this policy. While achieving court-ordered spousal alimony in Texas is certainly possible, it requires the assistance of an experienced Austin divorce attorney. Austin alimony lawyer Abraham Kant Esquire has been serving families in the Austin, Texas area for years. Let him go to work for you. For an initial consultation about your family law matter, please contact us.